Fillers and implants are both great ways to touch up your appearance and give you the fresh, youthful appearance you long for. While both can bring about change that you’re both excited and proud of, there are profound differences as to what both fillers and implants offer and what kind of lasting change they bring about. Let’s explore a little bit further. Facial fillers, or dermal fillers, are used to improve the appearance of moderate to severe wrinkles and add youthful fullness to eliminate signs of aging in the face. The most common areas to apply fillers are the smile lines around the nose and mouth, marionette lines at the corner of the mouth, frown lines between the eyes, and fine lines around the mouth. Unlike Botox, which reduces wrinkle-causing muscle activity, facial fillers respond to trouble areas with collagen, stimulating collagen growth in the face while adding definition to lift the skin. Fillers battle collagen loss while giving your skin a firm, youthful, and well-hydrated look. There is no one ideal filler, and each is used for different areas of the face, different skin types, and different indications. Collagen fillers such as Zyderm®, Cosmoderm®, and Restylane Fine Line® are all designed to treat small or shallow wrinkles and scars and can be especially effective in smoothing delicate frown and smile lines, as well as helping to correct certain kinds of acne scarring. Hyaluronic acid fillers such as Restylane® and Juvederm® naturally hydrate the skin by naturally attracting water molecules and acting as a cushioning agent by holding in water, giving the skin a smoother, healthier glow. Thicker fillers such as Juvederm® Ultra Plus, Perlane®, Sculptra®, and Radiesse® are better for volume enhancement and treat areas of the face that need plumping up through fat and dermal-fat transfer. The benefits of fillers include immediate results, no surgery or anesthesia necessary, and they are safe and cost-efficient. The effects wear off on their own after about 12 to 24 months and are often implemented as a trial procedure of facial improvements. In order to maintain results, periodic re-treatment is often necessary. While fillers are a great way to try a new and improved look, implants are an option when you want lasting, effective change. Implants are custom-made solid materials used to bring symmetry and balance to the face, namely the cheeks, chin, and jaw, and the surgical route for substantial changes in your facial structure. Cheek implants give a more pronounced appearance to the width of the cheeks, chin implants increase the size and projection of the chin, and jaw implants broaden the lower third of the face. 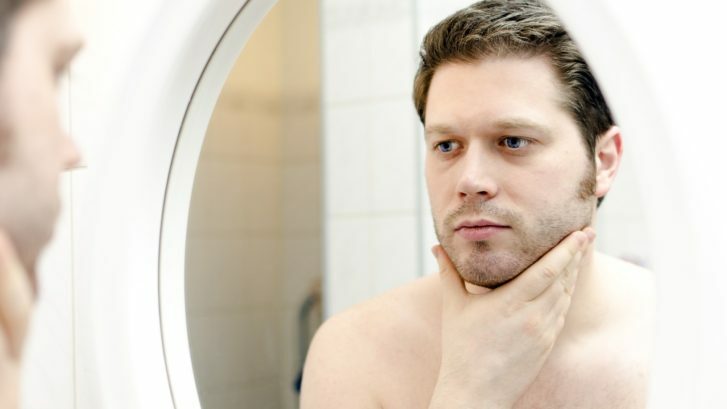 Cheek augmentation has risen 126% amongst males alone in the last two decades. The implant surgery allows custom-designed facial implants to be inserted through incisions into pockets in the facial tissue. These incisions may be bandaged or taped for protection in the healing process. With proper care, any scars at the incisions will be hardly visible and can be easily concealed with cosmetics. For many chin implant surgeries, for example, the resulting scars are found inside the mouth and not visible after surgery. Advancements in 3D printing have allowed the majority of the work to be complete before surgery even takes place. A 3D model of the patient’s skull and facial bone structure is uploaded to a computer, which a surgeon then uses as a detailed reference guide. This vastly reduces surgery time, while innovation in 3D scanning gives the patient the tools to be more intimately involved in the entire reconstruction process. 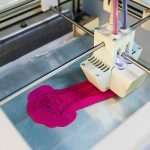 3D printing has also allowed hyper-customize to fit implants that have proven to result in minimal complications with a very high satisfaction rate. Chin and jaw implants are incredibly durable devices that are designed to stand the test of time in their permanence. While the natural aging process affects appearance in different ways, an enhanced contour will not chance. Trauma to the face could result in damage to an implant that would require another surgery to replace it. Cost: Fillers range from $1000 to $3000, while facial implants can range from $2400 to $5000. Time: Filler injections usually take five to thirty minutes per area, while most facial implant procedures take between thirty minutes to two hours and may require general or local anesthesia. 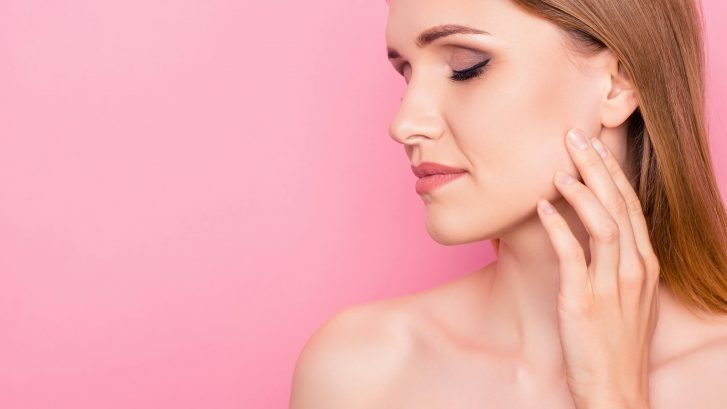 Construction: Dermal fillers are injections that add volume to key areas beneath the skin and enhance facial contours and definition, usually lasting for 12 to 24 months. Implants are materials that are inserted into a pocket made within the facial tissue by a surgeon. Materials: Fillers are made out of collagen, hyaluronic acid or fat grafts and are injected into areas of the face for more definition. Implants are made of silicone, Teflon, Dacron, or newer biological inserts compatible with human tissues. Surgeon type: Intricate skill with facial contouring is essential for fillers, and an experienced plastic surgeon with a passion for helping patients is necessary for implant surgery. Cosmetic surgeries, such as facial implant surgery, can be scary, just like any surgery. A good plastic surgeon, however, can help educate the patient on how to prepare and what to expect. Dr. William J. Binder has a proven track record of giving patients comfort through knowledge and making them feel happier and more comfortable in their everyday life. Dr. Binder is committed to giving his patients nothing short of the best possible plastic surgery results. Contact us today to learn about your options when it comes to everyday enhancements or if you are considering facial implant surgery. Our skilled and knowledgeable team is ready to assist with any curiosity you might have. 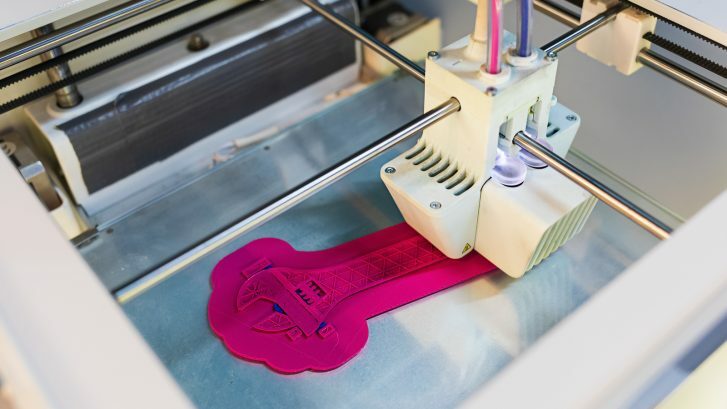 3D printing technology charts the horizon of medical science at its most innovative, but the process has roots in surgical procedures from centuries past. Hip replacements were performed as far back as 1891, when a German doctor used ivory to replace the head of a human femur. Dental implants date back even further, but the source of the tooth donors was shrouded in mystery. The common myth purported that patients were receiving teeth pulled from brave soldiers who perished on the field of battle, but the truth was that dentists were just harvesting them from cadavers at the local morgue. Fast forward to the digital age. The first successful 3D-print assisted reconstructive surgery was performed in the Netherlands during the summer of 2011. The 83-year-old patient suffered from a chronic infection in her skeletal system, adversely affecting the strength of her jawbones. Given the woman’s advanced age, surgeons needed to exercise the utmost sensitivity; traditional implants would have been too cumbersome for her fragile frame. Using titanium powder, the laser-guided printer fused together thousands of layers of the alloy to create a jaw that emulated the subject’s original facial structure. Each millimeter of her new jaw’s height required 33 layers of titanium – a painstaking process indeed. But the result was a true breakthrough. It featured a bio-ceramic coating and articulated joints with a network of grooves and cavities that would facilitate ideal muscle attachment and foster the healthy growth of veins and nerves. The operation was a resounding success. The patient was home four days later. Her new jaw weighed only about 30% more than her organic jaw; not bad for the first metallic model ever implanted. Since that inaugural effort six years ago, 3D printing and medical technology have evolved exponentially. As with any successful endeavor, surgeons must pinpoint the challenges and counter them with opportunities. Face transplantations are complex procedures that entail a myriad of complications. The patient in need has already suffered facial tissue loss due to an accident or a disease; countering the damage involves an extremely delicate process that requires vascular reconstruction to preserve and replenish as much of the subject’s tissue as possible. The main obstacle is that this procedure demands the patient’s blood flow to be halted while the reconnections occur. This process must be expedited, or the consequences could be lethal. 3D printing allows the majority of the work to be done BEFORE surgery. A scan of the subject’s skull and facial bones is uploaded to the computer to create a 3D model; surgeons can use this model as a detailed reference guide. If they fully understand their endpoint, it’s much faster to get there. This reduces surgery time and increases the patient’s chances of survival. While the average facial transplant procedure takes up to 25 hours, the vascular reconstruction process alone takes 60 minutes. Now let’s look at that same surgery from the patient’s point of view. Medical advances are all well and good for the doctors performing facial transplants, but what about the recipient of the services? The main concern is very intimate and aesthetic: What will I look like after it’s completed? The answer is only limited by the technology at hand. 3D scanning innovation advances every microsecond; present and future subjects of facial transplantation are benefiting from every upgrade to the software. But the diagnosis for the reliability and reproducibility of 3D printers is still inconclusive. Some patients, however, don’t have time to wait for science to catch up to their urgent health demands. Such is the case with a 12-year-old Chinese boy whose spinal cord was threatened by a malignant tumor. Doctors at Peking University had to act fast, so they turned to 3D printing technology to assist them in saving the lad’s life. Surgeons were able to remove the affected vertebra and replicate it with their 3D scanner. They created and printed a replacement bone out of titanium powder, but this presented a new challenge: how would they safely implant it in their young patient’s spine? The answer: craft tiny pores in the 3D printed vertebra so the surrounding bones could fuse and grow with it as the boy progresses through adolescence. The future presents an even more fascinating menu of possibilities. While most current 3D printed structures are designed to replace skeletal body parts, medical experts are formulating theories to transplant synthetic organs into their patients. One glimpse at donor lists across the country (and the world) verify that the demand is great, but what about the supply? Surgeons can’t simply craft a kidney out of metallic powder; they would require organic materials for the organ to function properly. This would necessitate sampling a small amount of the patient’s healthy tissue and multiplying it in a lab. How long would this process take? Would the host reject its artificially grown organ? Who is willing to be the first patient to submit to such experimentation? These questions pave the way to a 3D printed path toward medical progress and the future of healthcare. To learn more about the benefits of reconstructive facial surgery using the latest in 3D printing technology, please contact us today. We are happy to discuss the details and procedure in more detail at your convenience. Getting a cheek augmentation, or “lift” in laypeople’s terms, helps renew your youthful vigor and perks up your demeanor for those gazing at your visage. And nobody has more face time than celebrities. Some of the biggest stars in film, television, and music have benefitted from cosmetic enhancements in the past, even if some of them disavow such procedures. Which raises an important point: the best cosmetic surgeries are seamless. You shouldn’t be able to tell whether or not someone has undergone a cheek lift if the doctor has done his or her job correctly. Although the Material Girl officially denounces the very idea of plastic surgery, experts have hypothesized that her cheekbones defy gravity (and age). As we age, our cheeks tend to lose their fullness and elasticity. That’s why we squeeze babies’ faces to express how adorable they are! Madonna seems to enjoy the same baby face that she had thirty years ago, specifically when it comes to her cheekbones. They are full, vibrant, and expressive, implying that they have had some help from a skilled surgeon in recent years. Regardless of Madge’s medical history, her face is as timeless as her music. Rock on, we say! Iranian model turned internationally acclaimed actress, Claudia Lynx has transformed before the watchful eyes of the world stage. 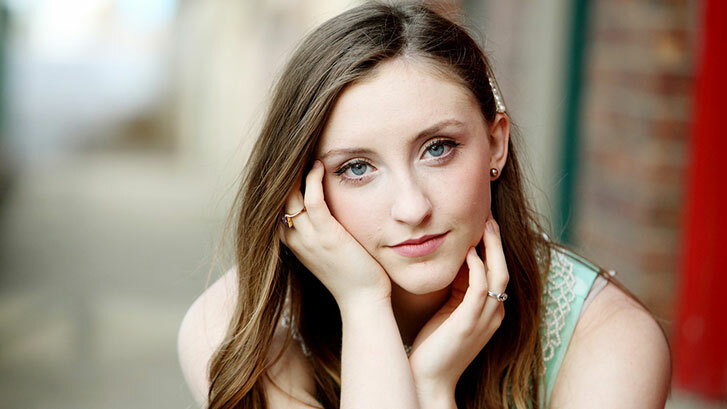 She got her start in baby commercials and never lost that youthful luster, even as she graced the covers of magazines and guest starred in shows like The West Wing. In before and after analysis of Lynx’s look, we see how her cheeks ascended, most likely thanks to skillful surgical maneuvers. Speaking of skillful surgeons, our team is well versed in creating the sensational aesthetics that Claudia Lynx has sported on runways around the globe. We can determine which supermodel style is right for your face and formulate a plan accordingly. She was married to the King way back in the 1960’s, but Priscilla Presley is still the Queen of looking fabulous. The septuagenarian rose to prominence when she met Elvis Presley at the tender age of 14. Since then, she became a celebrity in her own right, appearing in such films as The Naked Gun franchise. Priscilla is also an enduring symbol of youth and beauty, thanks in part to her carefully crafted look. Her iconic facial structure has undoubtedly benefitted from a probable cheek implant procedure, as evidenced by the unwavering height and robust nature of her mid-facial bone structure. From Graceland to Tinseltown, Ms. Presley is an example of cosmetic enhancement done right. Viva Priscilla! The veritable “It” girl of the 1990’s, Zellweger is a prime example of growing into your years with grace and elegance. Instead of making drastic changes that amplify or pronounce your facial features, she took a more restrained approach, seeing as how she already had plump lips and rosy cheeks. But on the subject of cheeks, experts believe that Zellweger has recently introduced some minor enhancements to her mid-facial area. But here’s an important tip to keep in mind: she apparently did so in conjunction with the rest of her features. The cheekbones aren’t jutting out noticeably further than her forehead, and they create a pleasant line with her jaw. These subtle alterations complement her naturally aging skin and tissue, making her supposed cheek augmentation so subtle that it might not have even happened (we’ll never tell, Renee)! If there’s one family that’s synonymous with plastic surgery, it has to be the Kardashian clan. But not all procedures are created equal, so let’s break down the ins and outs of a successful cosmetic procedure by putting Kourtney under the proverbial microscope. While Kim’s little sister only admits to having breast augmentation, experts believe that she also added some oomph to her cheeks. Over the years, she has gone from cherubic to statuesque by elongating the shape of her face. This may have been achieved with some sculpting procedures, or perhaps a simple injection of Juvederm. Rumors have swirled about the myriad procedures that Kourtney may have had, but her cheeks remain an understated testament to her natural beauty. Although a little help from the doctor might also be in play. Which brings us to an essential stopping point in our journey through the heights of Hollywood cheek lift success stories: know when to say when. A responsible surgeon will know how to satisfy your cosmetic needs without overdoing it and concoct an aesthetic plan that works for your face (and budget). While some people want to look like a pop music legend, an exotic model, or an infamous reality TV celeb, we encourage you to focus on just being the best version of you that you can be. Contact Doctor Binder today and start the essential conversation that will help determine how best to keep that apple red glow in your cheeks for years to come. Healthcare is one of the most controversial and complicated issues in modern America. How do we assure that our friends and loved ones get the attention they need without breaking the bank? It’s important to explore all of your options with your doctor and insurance provider, but some people don’t have the patience for this process or the cash. That’s why they often resort to seeking cosmetic surgery abroad. From Canada to the UK and Singapore to Israel, Americans are traveling internationally to undergo certain procedures in hopes of getting them performed for a lower cost than they would pay here at home. According to one study, a large number of these surgeries are cosmetic in nature. The first important factor to consider seems obvious, but it can’t be overstated: do you speak the language of your desired destination? If so, how fluently do you converse? It is imperative to be able to communicate effortlessly and pointedly with your medical team to ensure the utmost transparency and openness. For example, if you are experiencing pain or discomfort, you must convey the specifics of your predicament to elicit the proper remedy. Now revisit that initial line of questioning. Are you sure that you can accurately translate your health status into another language, no matter what that status may be… or how it could suddenly change? You’ve done your homework. You know what procedure you want. But is your surgeon as prepared as you are? You want to fully vet his or her credentials before putting your trust in their care. It’s a simple process in the United States because you can search their accreditation with well-established organizations like the American Society of Plastic Surgeons, but it becomes much more complicated overseas. Is there a comparable organization in your host country? If you don’t know the answer, then more research is inevitable. Not only will your international itinerary be hindered by your post-operative healthcare needs; you also might not be able to fly back home right away. Many facial procedures require that the patient not endure rapid changes in altitude. 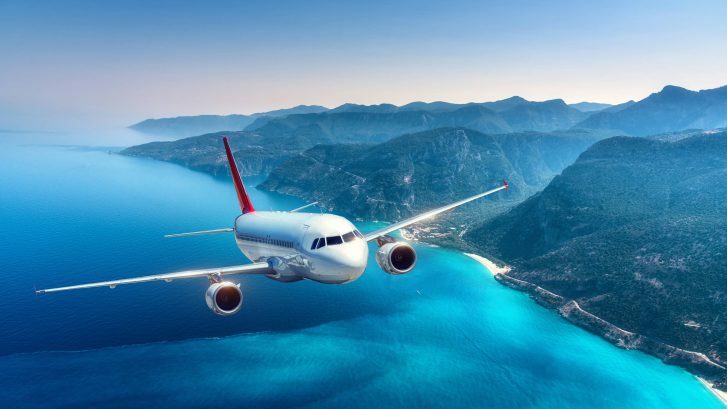 Airline travel can put undue pressure on your capillaries and passageways, so your jet-setting lifestyle must take a back seat to the recuperation process. If you still have questions about the dangers and difficulties of so-called “medical tourism”, then please don’t hesitate to contact our office. We’ll take the time to consult with you about the costs and benefits of your desired procedure – no passport required! A dangerous new fad is simmering in some less reputable circles of the cosmetic medical trade. Fast plastic surgery or “lunchtime” procedures (so named because they purport to be done on your lunch hour) are suddenly all the rage… but at what cost? We’re breaking down the myths behind this too good to be true trend. While it may sound convenient and desirable to get a quick filler for your upper lip, the results (and resulting problems) are another reality completely. In one patient’s case, the material they used was hastily chosen and all wrong for her face. The swelling didn’t go away, even a week later… then she was told to wait six months… then five years passed and she is still dissatisfied with the bump in her lip. Choosing your filler is a delicate and exacting process. By rushing into a procedure, you risk complications, pain, or worse. That’s why a reputable and trusted physician will weigh your options with you well before you plump those lips. The notion that you can pop in for a quickie facelift and only pay by the hour is foolhardy on so many levels. First, you should never rush when it comes to your health. And second, true health care providers shouldn’t punch a clock and charge by the minute. Finally, just because it’s fast, that doesn’t mean it’s cheap. A so-called “lunchtime” facial procedure can still cost upwards of two thousand dollars, and since it’s performed so hastily, it will most definitely require follow up visits and special attention in the long run. While Botox has been proven to be safe and effective if administered responsibly, there is a new theory that excessive and repeated sessions could do more harm than good. The rise of “fast” plastic surgery is now dovetailing with the preponderance of addictive behavior among patients who schedule multiple Botox sessions in quick succession. An estimated 40% of these lunchtime procedure enthusiasts are undergoing injections too frequently, according to health experts. A procedure as delicate and involved as a breast augmentation requires extensive consultation and consideration. However, some disreputable surgeons are promoting their hasty methods for the lunchtime crowd these days. It is inconceivable to think that you could recover from such an invasive process in less than two hours. Also, the actual technique required for a successful breast surgery doesn’t work in a truncated time frame. When done in a rush, surgeons can only apply the implant to the front of the breast, on top of your existing muscle. This won’t sit correctly, causing unsightly wrinkles and puckering where the implant meets your tissue. To be done properly, an implant must go beneath the muscle, which requires more time on the operating table. The experience may take longer, but the results are preferable in every way. In addition to the aforementioned aesthetics of a thorough intramuscular technique, the implant is also more protected when it is tucked within your existing tissue. While it’s true that medical science has progressed rapidly over the past two centuries, that doesn’t mean that it is now a “one size fits all” endeavor. Your body, face, and general physiology are unique. You have individual needs and specialized goals for who you are and how you want to look. If a doctor tells you that cosmetic surgery has become “standardized” or in some way uniform, then you need to visit another doctor. For a consultation as special as you are, schedule an appointment with Dr. Binder. He is ready to listen to your questions, and he’ll take the time to explain his answers… even if that lasts more than just a lunch hour. What’s an appropriate age to consider cosmetic procedures? Even though the number of plastic surgery operations in America and worldwide has increased every year for the last two decades, there is still a popular misconception that many people have of facial cosmetic procedures as something strictly reserved for those over the age of fifty years old. This is obviously a myth, and as plastic surgery becomes more normal than not, a more realistic view and understanding of facial plastic surgery will emerge. In the meantime, here are some statistics to get a better idea of who is getting facial plastic surgery and why. 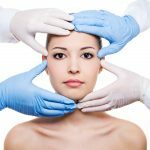 According to statistics published by the American Society for Aesthetic Plastic Surgery, patients in the age range of thirty-five to fifty years old have received the most plastic surgery procedures since 1997, making up a plurality of 43% of the total number of surgical procedures performed. Of course, there are plenty of patients older and younger than that age range who are receiving plastic surgery as well, and altogether they comprise a greater number of procedures, but no comparable age range has more plastic surgery operations than those aged thirty-five to fifty years old. And in just three years from 2014 to 2017, the average age of women getting plastic surgery has dropped three years, from forty-two three years ago, to an average age of thirty-nine today. The average age of men dropped two years over the same time period, from forty-seven to forty-five. In the much younger thirteen to nineteen-year-old age group, there were 229,000 total cosmetic operations performed on thirteen to nineteen-year-olds in 2016. 66,000 of those procedures were surgical in nature and 163,000 were minimally invasive cosmetic procedures. Of those aged twenty to twenty-nine years old, there were 829,000 total cosmetic procedures performed in 2016, with 256,000 of those being surgical in nature and 572,000 were minimally invasive. In addition to aesthetic motivations that may lead a patient to desire a cosmetic nose job, rhinoplasty can also solve medical problems such as difficulty breathing due to the shape and structure of the nose, and a nasal structure that impairs breathing is not an age-related issue. There are other non-age-related medical issues that can be helped with cosmetic facial surgery. Cosmetic facial reconstructive surgery is a welcome remedy for people who suffer a severe disfigurement or scarring from accidents, or even the ravages of infectious diseases, cancer, or other medical conditions. Mole removal is also a cosmetic facial procedure that has nothing to do with rejuvenation, and everything to do with better skin health and a patient’s personal aesthetic preferences for how they look. With the advent of social media, young people are more conscious than ever of how they look. With every tweet, share, and like, teenagers are comparing their features with influencers, celebrities, and classmates. While we must maintain a realistic and healthy outlook for our friends in Generation Z, it is inevitable for them to be curious about their options in the realm of cosmetic procedures. In the year 2017, approximately 230,000 patients from the age of 13 to 19 received such procedures. This accounts for roughly four percent of the total number of people who explored the world of cosmetic reconstruction. On top of these surgical procedures, teens racked up another 160,000 non-invasive touch-ups, chief among them being Botox visits and laser hair removal appointments. While the age restrictions above are vitally important to consider, there are also a myriad of benefits that facial procedures can elicit. According to a recent study of approximately 550 patients, the majority of those who underwent their desired cosmetic alteration reported blockbuster results. Self-esteem skyrocketed in this sample group, as did feelings of joy and general satisfaction in life. As anyone who has endured adolescence can attest, it is a volatile period, characterized by self-doubt and insecurity. While teenagers shouldn’t rush into cosmetic procedures to counteract these forces, it can’t be overstated that looking good often leads to feeling good. Consult a trusted physician and don’t be afraid to discuss any and all psychological stresses and emotional issues you may be feeling. We can all work together to make sure that you grow up to be the best you possible. How Much Does Facial Plastic Surgery Cost? For something as important and personal as the appearance of one’s face – arguably the most memorable and distinct feature that each one of us has – there are many people who would like to improve some aspect of their facial appearance, knowing they would like the way their face looks better if they could improve or enhance one or more of its features. Many others are happy with their facial structure and features but would like to rejuvenate their facial appearance to look more like they did when they were a little younger. For some, the desire stems from an insecurity about their looks that a facial cosmetic procedure can correct, giving them a valuable boost of confidence and self-esteem. For others, the motivation is simply a desire to look their best. Whatever the reasons for seeking plastic surgery, one relevant factor in a patient’s decision to undergo a facial plastic surgery procedure is the cost involved, and in the beginning stages of researching the pros and cons of plastic surgery, potential patients want to get an idea of the price of a facial plastic surgery procedure. You may have found that it’s difficult to get an accurate assessment of the cost without an in-person examination of your face and medical history by a cosmetic surgeon, and an in-depth consultation about your specific goals and desired outcomes for undergoing facial plastic surgery. Because your face is as unique as your fingerprint, and because the facial enhancements ought to vary by patient, cosmetic surgery to alter facial features is an individualized plan and operation for every patient based on their face and their aesthetic desires. No two facelifts are the same, each rhinoplasty will be different for each patient, and each eyelid or earlobe procedure is unique. Facial surgery to correct a medical problem (such as rhinoplasty to improve breathing) may be covered by some insurance policies. And each with varying limits on the extent of the results that can be achieved. All of these different factors and the surgical plan you and your doctor choose will determine how much a facial plastic surgery operation will cost for each different patient. In helping patients to come to a decision about their plastic surgery, a modern, professional cosmetic surgeon will help the patient assess how each separate aesthetic feature of their face contributes to their overall facial appearance. The surgeon will also help determine what enhancements to the brows and eyelids, nose, cheeks or mid-face, lower face and chin, neck and/or the composition of the facial skin, fat, and muscle will achieve the most aesthetic overall result in line with the patient’s goals. Subsequently, the cosmetic surgeon and patient will develop an individualized surgical plan that addresses the patient’s concerns and desires. 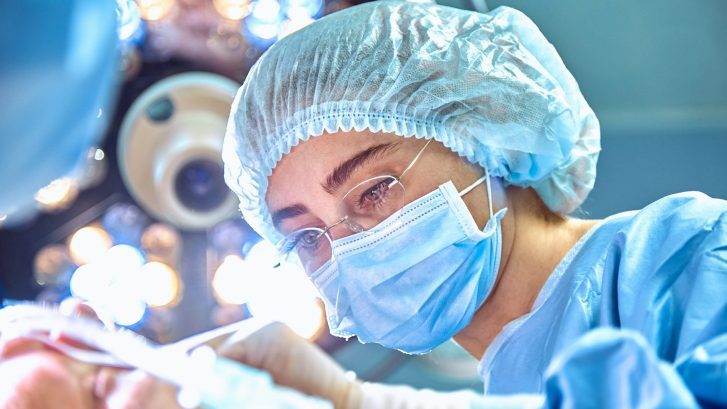 Therefore the price of the operation will depend on what each person needs and the amount of time it will take the surgeon to perform the operation. For something that will affect your life as much as facial plastic surgery, it is important to take your time researching plastic surgeons, reviewing their credentials and experience, reading over their websites, viewing before and after photos, and calling to ask any questions you have after researching online. As the old saying goes, haste makes waste – and it can also be costly. When patients require a second or even third visit to the surgeon, each of these revisions could cost as much as the initial operation. That’s why it’s important to be diligent with your research before undergoing any procedure. Communicate your concerns and questions to your doctor. If he or she doesn’t respond to your satisfaction, then it’s time to ask for a second opinion. Medical professionals must be just that: professional. They should never rush you into a procedure for which you are not ready. The ramifications can be dangerous and pricey. Take, for example, breast augmentation surgery. Last year, the cost of this operation averaged $3,718. 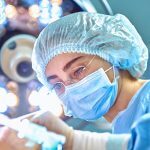 Now consider the fact that somewhere between 20 and 40 percent of all breast augmentation patients sought additional surgeries within eight to ten years of their first procedure. This leads to soaring healthcare costs, not to mention the discomfort and inconvenience of repeated recuperation times. In addition to the price of the actual operations, you must also factor in lost salary from work as you take time to heal, not to mention the consultations and residual medical costs involved with each follow-up visit. Caution is advised for any cosmetic procedure, not just the one detailed above. Rhinoplasty, for example, is a delicate operation that requires an equally delicate touch. Of course, you want a skilled doctor in the O.R., but you also want that exacting attention to detail long before the date of your procedure. Planning ahead is essential, and your physician should map out your unique facial structure before formulating any plans when it comes to reconstruction. Your cartilage is as individualized as your bone structure. Some people have thick, sturdy reserves of cartilage that is more difficult to reshape. Others have thinner nasal shapes that are extremely vulnerable to change and must be treated as such. Also, once the cartilage has been reconstructed, your skin must be assessed for its elasticity. Will it conform to your new face? How conducive will it be to breathing and general functionality? Are your cosmetic goals attainable given the parameters of your cartilage and skin, as detailed above? If not, how can you and your doctor work together to re-imagine your plans and move forward safely and effectively? It’s important to answer these questions before the day of your procedure to avoid the need for a repeat visit. After all, the average rhinoplasty costs somewhere in the vicinity of $5,125 according to recent studies. That’s a price tag you only want to encounter once, so let’s work together to get it done right the first time. What is the doctor board-certified in? Is the doctor licensed? Are there any state disciplinary actions? How often has the doctor performed the surgery you are considering? Is the facility where the surgery taking place accredited? Be wary of plastic surgeons who advertise discounts on their fees. “Bargain” and “surgery” are two words that do not look good together. Discounting the value of any specialized, professional service, especially surgery shows very poor judgment in marketing and calls into question the quality of the face-altering surgery you may receive. When consulting with your prospective plastic surgeon about the cost of your operation, pay attention to whether your surgeon is carefully listening to you, make sure they truly understand the aesthetic results you hope to achieve and gauge your sense of how available and attentive they will be to you after the operation has been completed. Don’t hesitate to look elsewhere if you have any concern that an operation with them might cost you more than their fee. The “full” look is all the rage, but sometimes Mother Nature doesn’t provide you with the plumpness you desire. Thanks to modern science, however, you don’t need to settle for less in the lip department. Lip augmentation is a procedure that injects fillers like collagen and fats are into your lips (and the surrounding area) to increase your mouth’s volume and shape. The most common materials used in these procedures emulate hyaluronic acids, a substance found naturally in the human body. They provide suppleness, firmness and even moisture to the skin. By increasing your levels of hyaluronic acid, you take control of your lips. Augmentation injections help you alter your lip volume gradually; you may opt for a series of treatments over multiple sessions to get accustomed to your new look in due time. This approach also minimizes bruising and spreads out the effects of the injections, which will dissipate after a number of years. One of the collateral benefits of lip augmentation is how the procedure reduces wrinkles around the mouth area while improving the contour of the lips. People in their late thirties often experience thinner looking facial features, which is a natural bi-product of the aging process. If you want to waltz into your 40’s (and beyond) by putting your best face forward, consider a consultation now. Most beauty trends revolve around symmetry and balance. In keeping with these goals, lip augmentation is performed in conjunction with other cosmetic procedures to create a harmonious balance within the face. Since the lips may not be the only facial feature that needs cosmetic attention, the surgeon might also need to deal with wrinkles around the mouth and may also need to add fillers to the cheek areas. It may look unbalanced if you merely have lip augmentation done while your cheeks and eyes look hollow and sunken. There are several different methods by which cosmetic surgeons perform lip augmentation surgery, and these approaches vary depending on your goals, needs, and general state of health. For instance, fat transfers are achieved by harvesting fatty deposits from elsewhere in the body via liposuction. The biomaterial is then injected into your lips. Due to the fact that you have produced this tissue, the risk of your body rejecting the fat is minimized. You are essentially your own donor. Rather than resorting to liposuction, surgeons can perform what is known as a dermal graft; this excises a section of flesh from your body, keeping the skin and it’s fatty layer attached. This sample is then sculpted (like the work of art you want to become) and surgically attached to the lips. The graft takes a couple of days to integrate into your facial features. Some patients may wish to enlist the help of another person’s tissue in the form of AlloDerm. This biomaterial can be implanted into a subject’s lips by itself or in conjunction with any of the procedures listed above (using one’s own grafts and/or fatty tissue). In conjunction with implants and injections, a successful procedure will involve a re-shaping of the lip. This is an exacting craft that focuses on the Cupid’s Bow, or the center of the lips. This top lip area should be well defined while the lower lip should be fuller and less sculpted. Most people are born with naturally thin lips. If your lips are thin, such that they disappear especially when you smile, then you can get a lip augmentation to improve their shape and volume. It is important to note that your doctor will not just blow up your thin lips and make them fuller. The doctor needs to deal with certain landmarks on your lips and will augment them specifically so that the end results are natural looking. A good candidate for lip augmentation should have stable overall health. Suffering from medical conditions such as oral herpes, lupus, and blood-clotting disorders are warning signs that you shouldn’t have this procedure. While lip augmentation is considered one of the easiest outpatient cosmetic surgical procedures, not everyone should (or can) get it. If your lips are causing you self-confidence issues, then it is high time that you should consider getting lip augmentation. Getting this procedure will help you save a lot of time and effort defining your lips with cosmetics to shape them. Getting a lip augmentation can help you improve your image without breaking the bank at the makeup counter. However, you need to understand that since the body naturally produces hyaluronic acid, it also absorbs it. The effects of lip augmentation can be temporary, especially if you discontinue treatments. Make sure that you work with your cosmetic surgeon so that he or she can recommend what kind of procedure to get and how often it needs to be redone. If you don’t repeat the process, then your lips will retract to their original shape. Everyone has those days when they look in the mirror and see a stranger. If the face staring back at you doesn’t reflect how you see yourself, you might be unsure of your overall facial balance. To amplify your lips and achieve the look you desire, a lip augmentation might be just what the doctor ordered. It starts with a facial assessment. This will help us determine the end result and make sure that your facial features maintain their proportion and unique personality. Don’t forget: a reliable doctor will not just pump in the fillers without studying your face first. Dr. Binder’s surgery center in Beverly Hills is considered the best option for solutions regarding facial cosmetic surgery. Our office is dedicated to establishing proper communication with prospective patients. 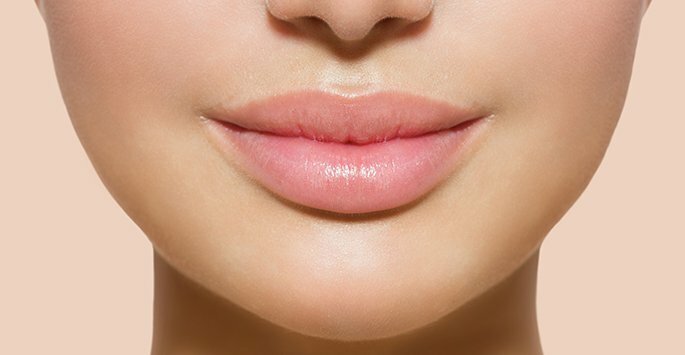 Contact us today to schedule a consultation for lip augmentation surgery in our Beverly Hills office. • Reduces the wrinkle lines that develop horizontally across the forehead, as well as those that occur on the bridge of the nose, between the eyes. • Improves frown lines, the vertical creases that develop between the eyebrows. • Raises sagging brows that are hooding the upper eyelids. • Places the eyebrows in an alert and youthful position. Complementing cosmetic procedures to a brow lift include upper and lower eyelid tucks, face-lifting, and skin resurfacing techniques. What is the Cost of a Brow Lift? The average cost of a brow lift is $3,201, although costs can vary widely. The average fee does not include anesthesia, operating room facilities or other related expenses. A surgeon’s fee will be based on his or her experience, the type of procedure used, and the geographic office location. To choose a board-certified plastic surgeon in your area, remember that the surgeon’s experience and your comfort with him or her are just as important as the final cost of the surgery. As we age, the body changes in various ways. Unfortunately, the face is the most obvious and usually among the very first signs of aging. 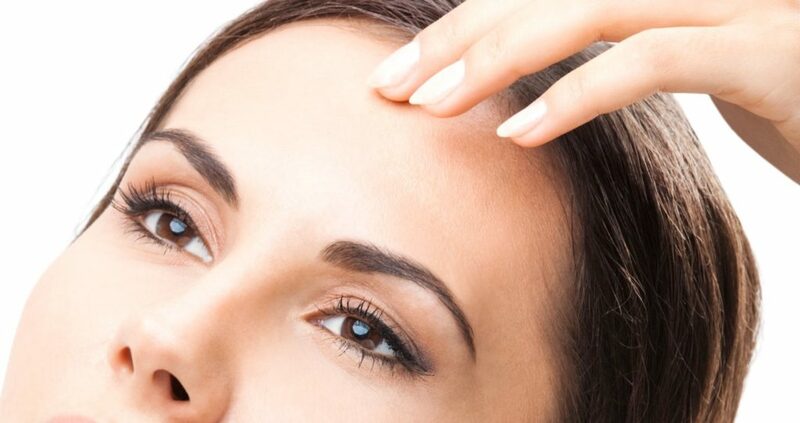 As the skin loses its volume and elasticity, it begins to sag and droop, creating those wrinkles and fine lines on our forehead. To address this aging skin, many patients have turned to brow lift surgery. Other factors to consider include age and recovery. When it comes to brow lift, age does matter. Individuals who are in their 40s and 50s are most likely to see significant changes after a brow lift, since this is the time when brow lines, forehead creases and sagging eyelids begin to appear. • How to care for the surgical site and drains. • Medications to apply or take orally to aid healing and reduce the potential for infection. • Specific concerns to look for at the surgical site or in your general health. • When to follow up with your plastic surgeon. In the weeks after your procedure, you should keep you head elevated and refrain from vigorous physical activity. Do not use ice or heat on the operated area. The initial wound will take 10 to 14 days to heal. Sutures or clips will be removed when it is appropriate. You should be ready to work and resume normal activity after two weeks. Swelling and incision lines may take several weeks before completely refined and faded. Following your physician’s instructions is vital to the success of your surgery. Your doctor will give you specific instructions on to care for yourself. Dr. Binder’s surgery center in Beverly Hills is often considered the best option for solutions regarding facial cosmetic surgery. Our office is dedicated to establishing proper communication with prospective patients. Contact us today to schedule a consultation for your neck lift surgery in our Beverly Hills office.